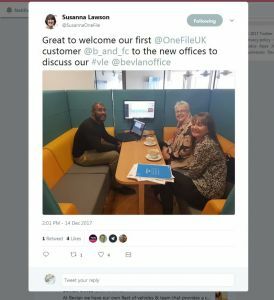 Onefile are an award- winning e-portffolio company for apprenticeships, winning the Queens award for innovation in 2017 ,we were very proud to be asked to be part of their office refurbishment. 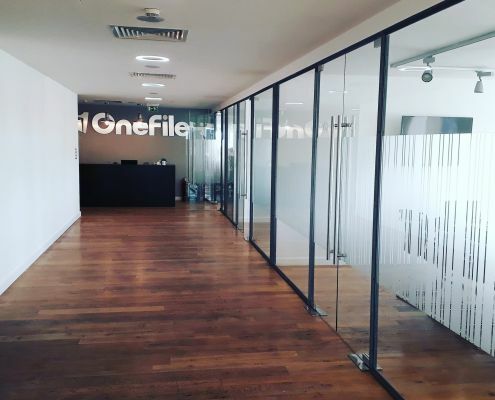 Starting with meetings, CAD drawings, mood boards and floor plans we are now very excited to show you the final images of the brand new Onefile office. 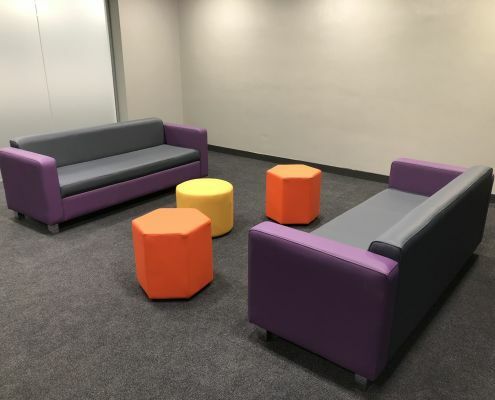 Situated at the top of the Arndale centre, the new office space for the Onefile team now looks amazing and the team at Bevlan are very proud of their work. 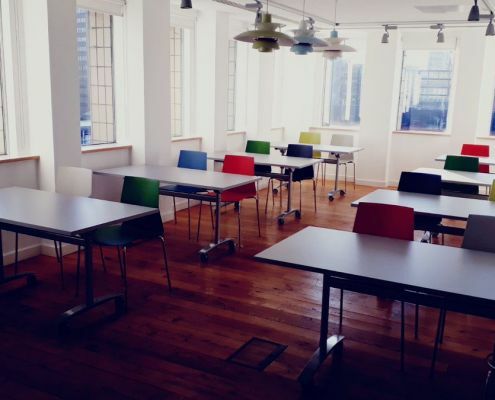 After providing Onefile with a number of desks for a previous office, we couldnt wait to get creative with their new office space. 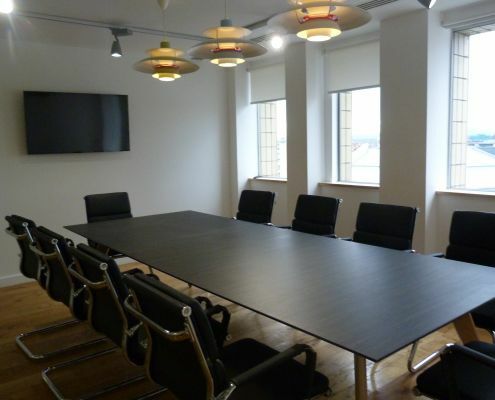 We provided furniture for the executive office, breakout area, training room and meeting area. Our first customers to visit the new office were Blackpool and the Fylde College. They absolutely loved how the office looked and commented on the furniture. They said it looked really professional but relaxed at the same time. 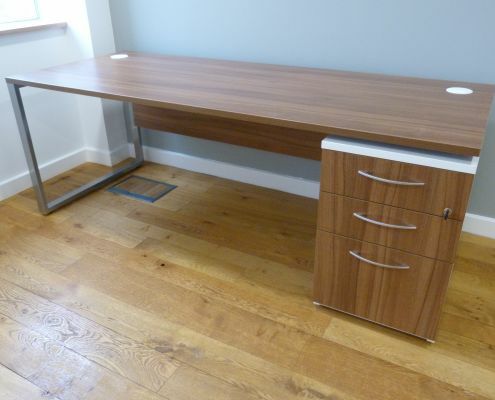 We were extremely impressed with the service we received from Bevlan Office Interiors and the quality of the furniture! 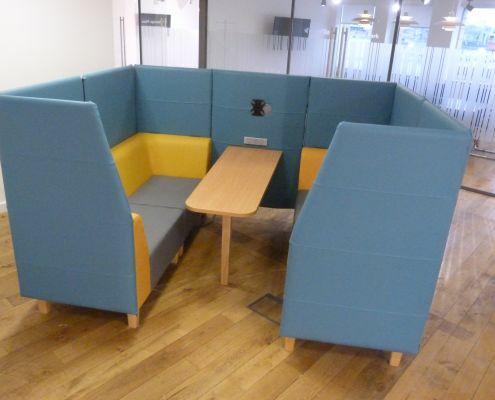 This bright, vibrant four seater booth is a great place to enjoy a coffee, hold a meeting or even just complete daily office tasks. 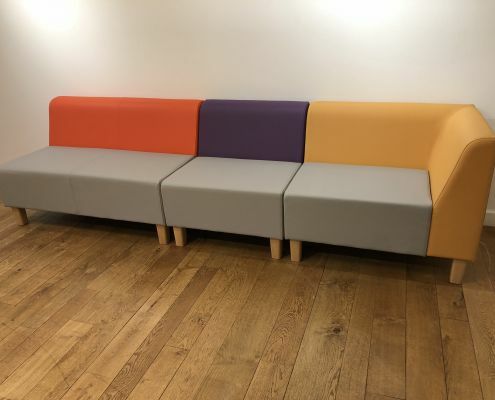 The bright coloured vinyls used to form this booth have been chosen by the Onefile company themselves, these booths can come tailored to your company colours. Combined with a small coffee table and a media outlet station you have got everything you need in one space. View of the boardroom, a perfect spot for all ten guests. Tilt top table for the training room with bright coloured chairs. 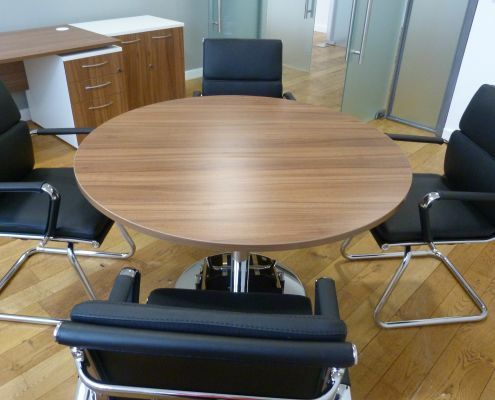 Bevlan love the Magassar boardroom table! 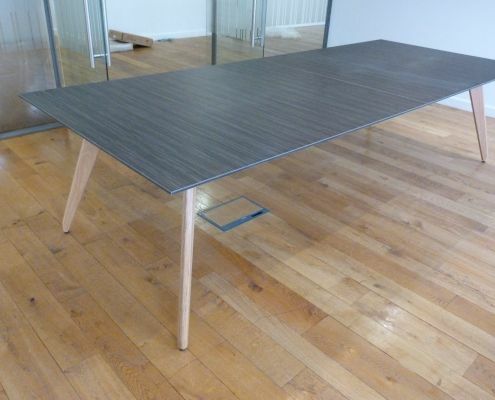 This boardroom table is very unique and adds a fresh modern twist to a traditonal boardroom set up. This Magassar finish looks even better in person, although it still looks great here! 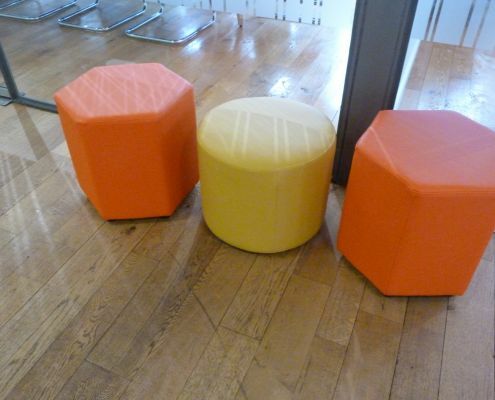 Hexagonal stool and dot stool in two vibrant viny fabrics.